I happened upon a second hand copy of The Works of Oscar Wilde earlier this year. I have been dipping into it from time to time. This afternoon I read his final written work, the poem, The Ballad of Reading Gaol, and was really moved and impressed by it so thought I would share a bit with you. 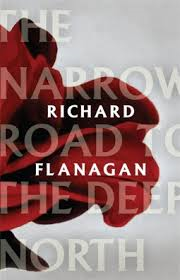 And no, I have not blogged about poetry before but this lengthy poem is accessible, very dramatic and so atmospheric that I feel compelled to start. 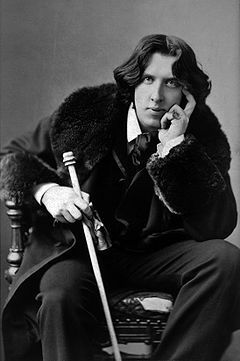 Wilde, an Irish playwright, poet and novelist spent two years in three English prisons, the last being Reading Gaol, serving hard labour for "gross indecency." I remember reading his only novel "The Picture of Dorian Gray" when I was a teenager and really being captivated by it. Wilde's sharp observational writing and flamboyantly chaotic life have ensured that he continues to loom large as one of literature's most memorable characters. And you know I didn't think I would want to read The Ballad of Reading Gaol, it being an enormously long poem after all. But from the first verse I was caught up in the rhythm of it and couldn't stop reading. It is a ballad that depicts, or almost chants really, about the dark, soul destroying existence of life behind bars at the end of the 19th century. The poem explores what it was like for the prisoners in the lead up to a hanging. It is really very moving. And I guess the whole thing has extra poignancy because Wilde has not made this up, this reflects his lived experience as a prisoner. When the poem was first published in 1898, it was not attributed to Wilde but written under the name C.3.3., standing for "cell block C, landing 3, cell 3." Wilde was the celebrated and then notorious "bad boy" of his day. After being released from prison he went to France, never to return to the UK. He died in Paris at age 46 in abject poverty. It is a very sad story and one that has always intrigued me. You can read The Ballad of Reading Gaol online if you are interested. Apologies for the weird spacing in the verses I have reproduced in this post. Try as I might, I don't seem to be able to fix it. Thanks for sharing. Like you read I read Dorian Gray as a teenager and fell in love with it, but sadly I haven't read any of his other books. I will have to make a point of doing so at some point. I enjoyed The Picture of Dorian Gray but haven't read anything else by Oscar Wilde yet. Thanks for sharing this poem with us - it does sound very moving. I don't read much poetry but I think I would like this one. Hey, I just came across your blog and was pleasantly surprised to see a post on Oscar Wilde. It's really sad what happened to him, and I'd like to read this one day. I've never read this and now I'm a bit intrigued! Thanks for sharing. Going to head to the link and will add this to my list for MUST Reading. Hope to find this one too.